Next story in Men's health Why do some men get grouchier as they age? Diane, left, lies next to husband Mark Aulger, who holds their just-born daughter Savannah for the first time, at a hospital in Plano, Texas. 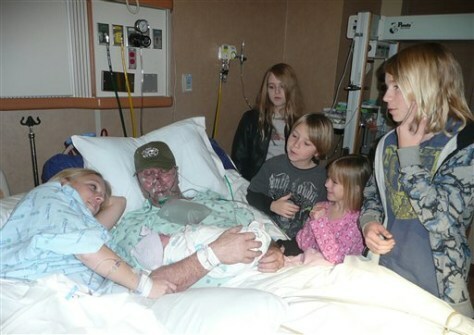 The Aulger's other children stand at bedside, from back left to right: Lori, 15; Nicholas, 10; Ava, 7; and Trenton, 13.